Starbucks has introduced a new drink. Starting today, March 22, Starbucks is offering the new Caramelized Honey Latte in both hot and iced versions. The drinks will be available for a limited time only. Starbucks dropped the news yesterday on its website, and the drink came out today. Waste no time, Starbucks! 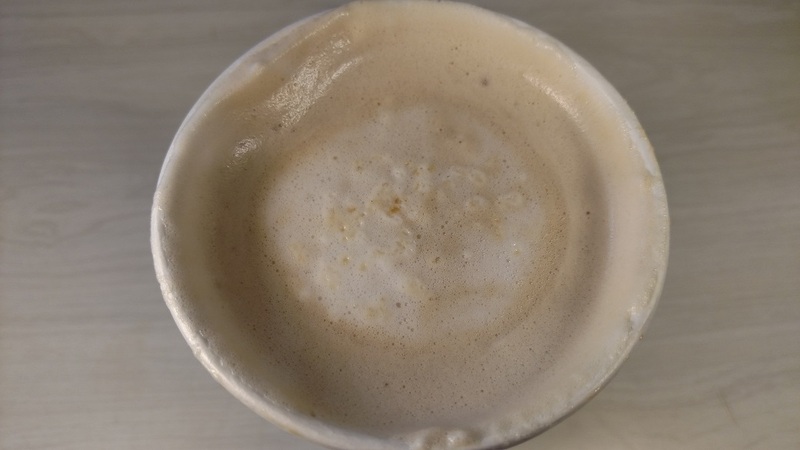 So what we have is a latte (for those that may not know, a latte is espresso and steamed milk) with cooked, caramelized honey. This is a little different than other drinks Starbucks makes. Interesting. We don’t really know what the hell is going on there. We don’t see the correlation. But, sure. We will roll with it. 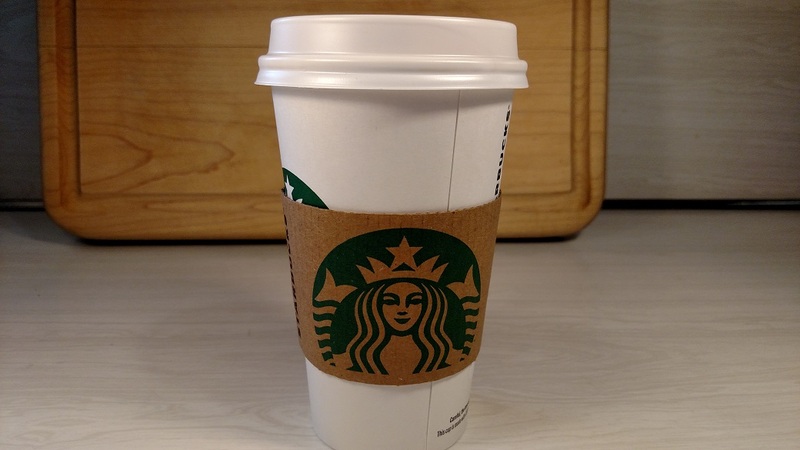 We have explained in the past why we review Starbucks, despite it being trendy and such. The bottom line is that we love coffee (we’ve mentioned this before, too!). And yes, lattes and specialty drinks can be good, too. So, naturally, we put down our beers to go try a new coffee drink. We arrived at our local Starbucks, and placed our order. We have to say, the Barista was very kind. She took our order, and also made our drink. More on this later. A Starbucks cup! 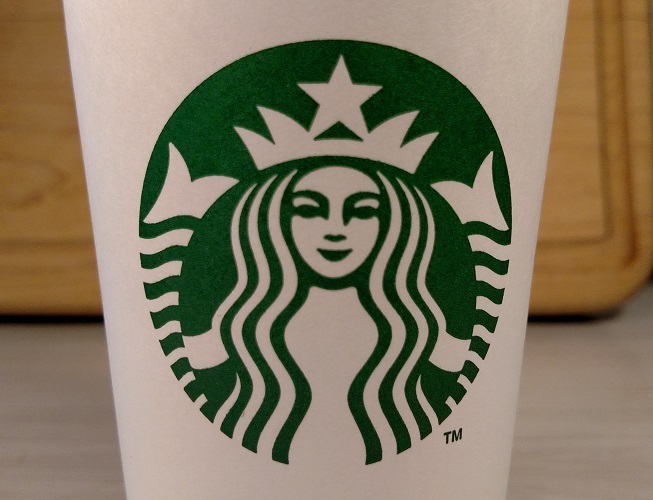 It looks the same as every other Starbucks cup! Who would have thought it? First of all, we were impressed that the cup was filled almost to the top. You may recall, it really pisses us off when we get a cup of coffee, and it isn’t filled up. That REALLY pisses us off. For once, our cup was filled up. Also, there is a nice amount of foam on the drink. We like our lattes with a healthy amount of foam. Nice. We expertly moved the foam so you can see the drink itself. 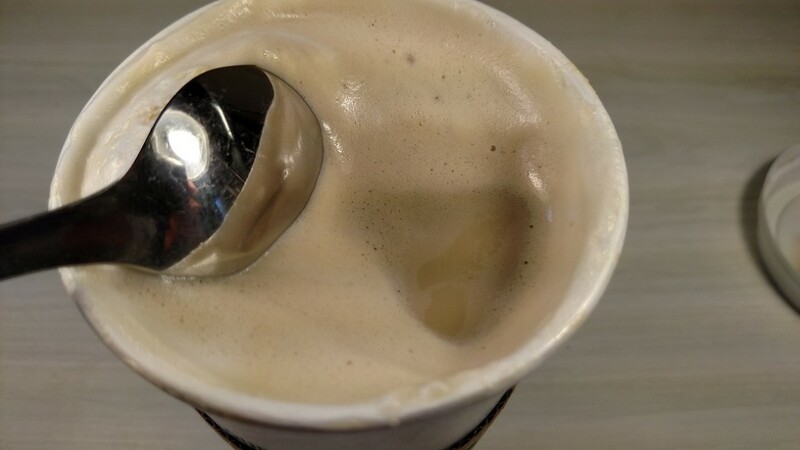 It has a light brown, creamy texture. We approve. The drink has a nice, balanced, sweet flavor. It is not overly sweet, which is a good thing. There is a definite flavor of honey, but not like honey right out of the bottle. It is definitely caramelized, cooked, or whatever. The foam adds a lot to the overall presentation and flavor of the drink. The coffee flavor is there, but we wouldn’t mind if it were stronger. That said, it is not a deal-breaker. We would rather it be like this than be overly strong or burned. There is enough espresso that you know you’re drinking a latte. Good enough. The texture is creamy and smooth. There is no grit. There is still foam throughout the cup, and on the bottom. 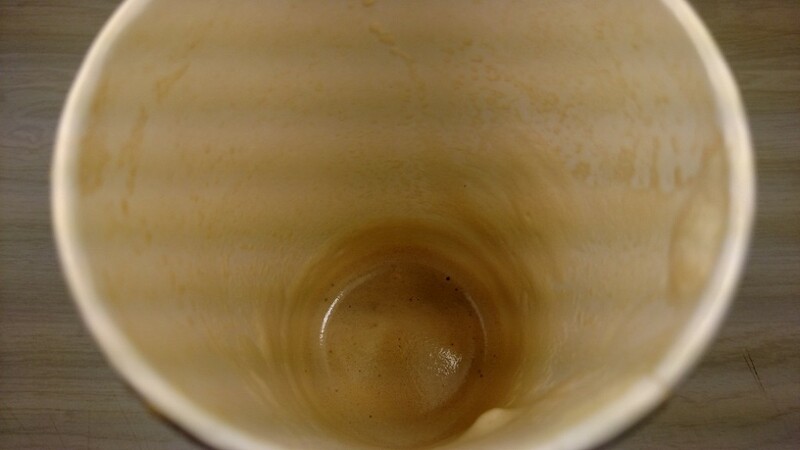 But there is no collection of muck on the bottom of the cup, as there so often is. Our Barista mixed this drink up well. It was perfectly balanced from start to finish. Winning. Overall, we think this is an excellent drink. It is by far the best new drink we have had at Starbucks in ages. We would get it again. We ordered a grande (medium), and it cost us $4.95 before tax. The price was typical for Starbucks. Is it a good value? Only you can decide. If you don’t mind spending five bucks for a medium specialty drink, the value is there. Some people think that is absurd. You decide. We think it is in line with other drinks, so we are ok with it. We think that is pretty cool. We have had our share of drinks at Starbucks that just aren’t right. 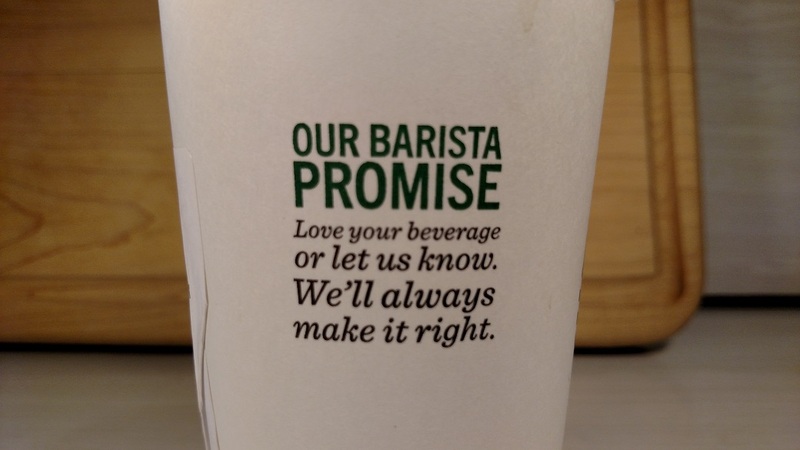 It is cool that Starbucks is making it clear that it will fix a bad drink for the customers. You win this time, Starbucks.